Home > Books > Children > Sweet Shoes For Wee Ones - 15 Delicious Pairs! Serve Them At Your Next Baby Shower! Sweet Shoes For Wee Ones - 15 Delicious Pairs! Serve Them At Your Next Baby Shower! 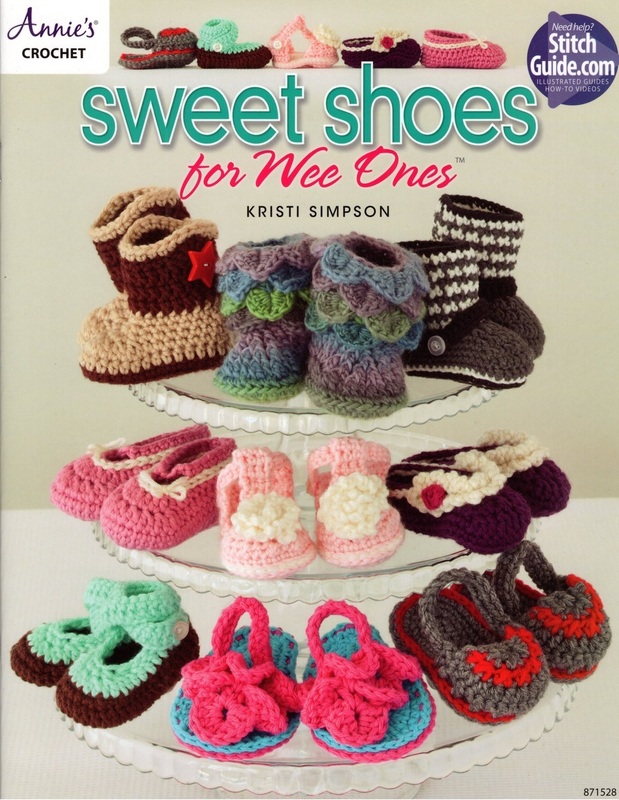 Features styles for boys and girls, this book by Kristi Simpson includes 15 crochet shoe designs for babies. Includes a variety of styles like loafers, mock crocs, cowboy boots, sandals, snow boots, ballet style and more. All are made using DK - light -, worsted - and chunky-weight yarns. Large: 3 1/2" to 4" long x 2" wide.